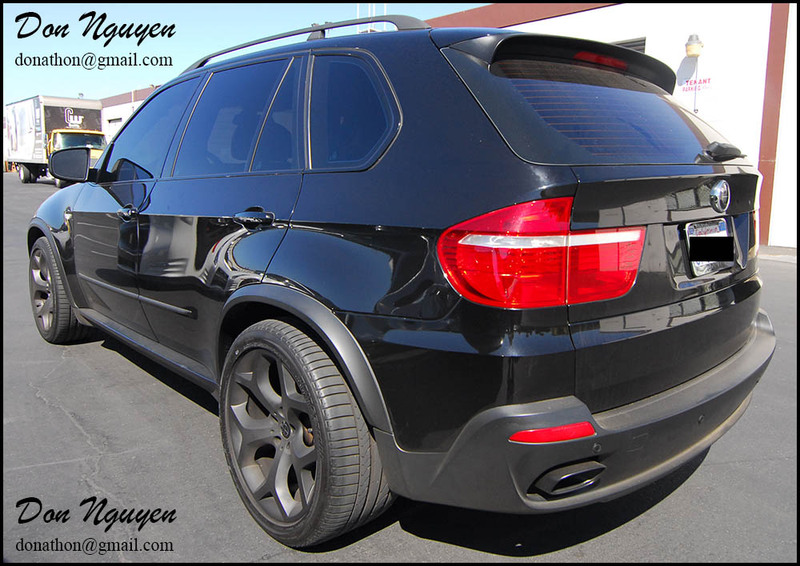 The owner of this black BMW E70 X5 4.8is SUV brought his car in to have me apply my light tint smoke film on his tail light pieces. 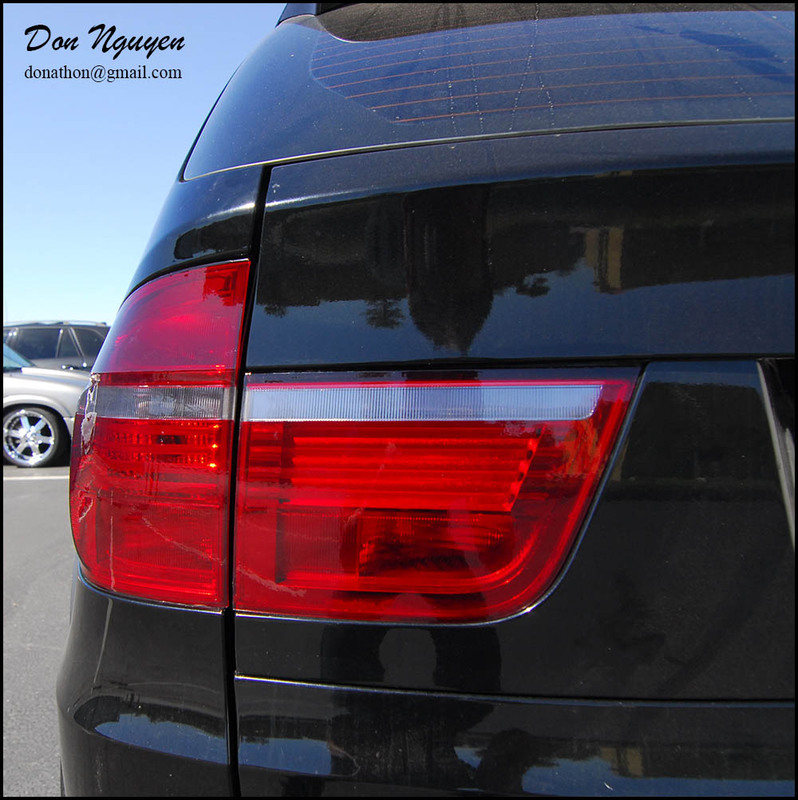 I took a picture of his car before the tail lights were tinted next to a similar X5 that had its tail lights tinted for a side by side reference of how the film makes the tail lights look before and after. The film is a very light shade, to sort of mimic the LCI style tail lights which already come slightly darker from the factory, however, at a fraction of the cost. The owner of this car was from Orange County as well and brought his car out to me in Anaheim Hills to do the vinyl work.